One of the great things about Tropical North Queensland’s warm climate is that swimming is an all-year-round activity. And the region is blessed with countless stunning swimming holes where you can take a dip in fresh crystalline water. Some of these magical spots are tucked within the Wet Tropics rainforest while others provide refreshing stop-off points as you head inland to the Australian outback. Cardwell Spa Pools, between Cairns and Townsville, is on many visitors’ to-do lists after photos of its startlingly blue waters went viral. 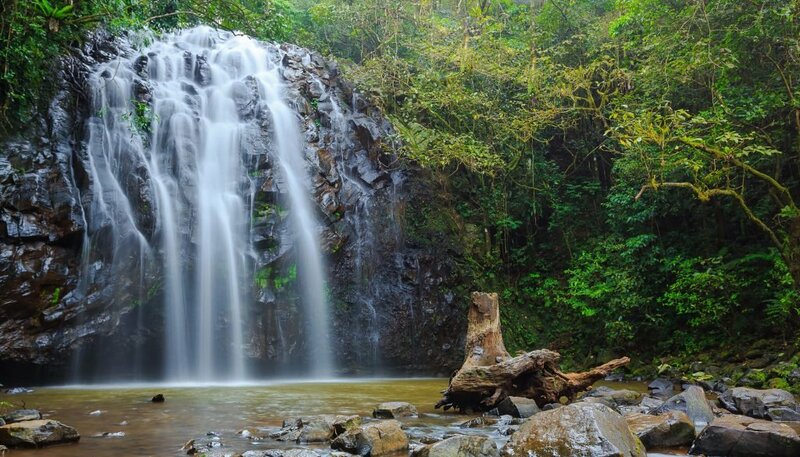 Just up the road at Tully Gorge National Park, you can soak in a crystal-clear rainforest stream known as Alligators Nest (don’t worry about its alarming name – the spot was named after a Scout group and is giant reptile-free). On the Atherton Tablelands at Crater Lakes National Park, Lake Eacham’s astonishing shades of blue attract visitors from around the world. Sometimes, it’s not the water that’s the biggest attraction. Sculptural, worn-smooth rocks are a key feature at Babinda Boulders south of Cairns while up near Port Douglas, head into Mossman Gorge to stroke your way through clear rainforest waters before drying out on the river’s granite boulders. Cape Tribulation has secret swimming holes like Mason’s where a quick lunch stop at Mason’s Cafe reveals directions to the popular swimming spot nearby. 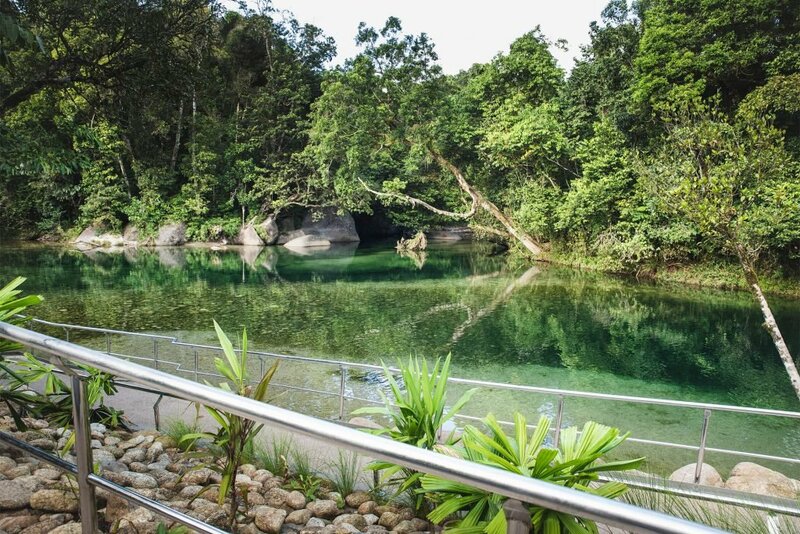 Swim, laze or just float on your back in these stunning freshwater swimming holes.